Wake up your party with an adventure to Never NeverLand. 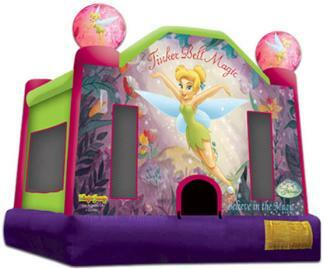 Tinkerbell has come to Tucson to help entertain the children at your party. She brings with her the charm and grace and thrill only the worlds favorite fairy princess can provide. This Is a full front castle premium product for a Jumpmaxx style price.